12/17/16 Goodhue Elementary Tourney 2 Hour Delay, Social Tonight! The Goodhue Elementary Tournament on Saturday, December 17th, 2016 will be held today. However, to accommodate last night’s snowfall, all times have been pushed back 2 hours. So weigh-ins will be held from 10:30-11:30 and wrestling will start at 12:00 noon. The school address is 510 Third Avenue, Goodhue, MN 55027. Due to numerous schools not allowing their teams to travel to Goodhue today, we were forced to cancel the Goodhue JV tournament this year. 7-12 Goodhue wrestlers will practice from 10:30-11:30 and then help referee and work tables for the elementary tournament starting at noon. The wrestling social will be held tonight starting at 5:00 p.m. Food and drink cup can be purchased for $20 and there will be a 50/50 raffle for $10. This is a benefit for the Goodhue Wrestling Club. We hope to see there! Match Day! #1 K-W comes to town tonight! 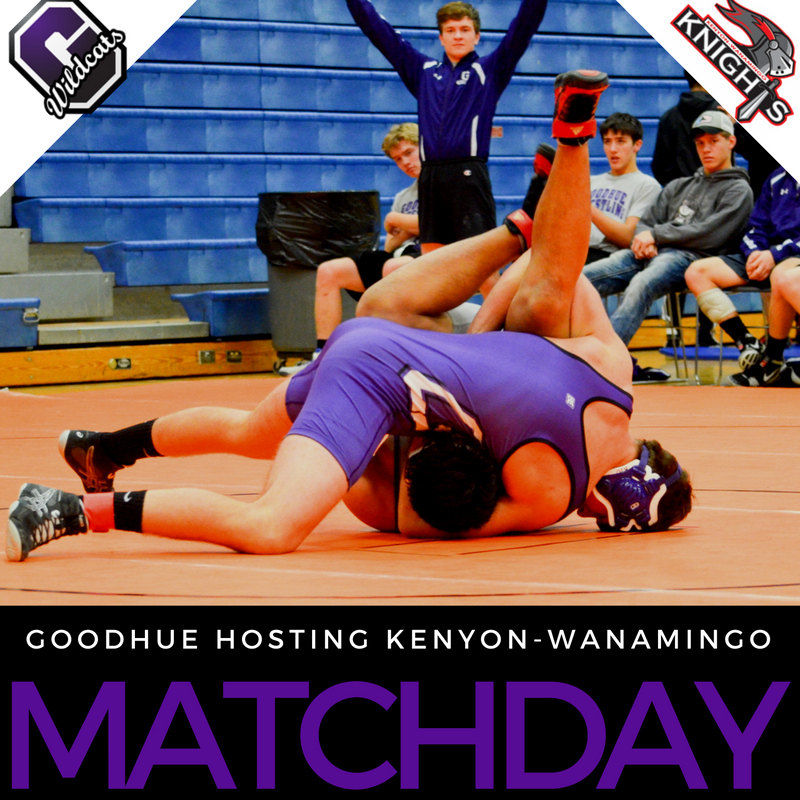 Returning Class A State Champions and #1 ranked Kenyon-Wanamingo come to Goodhue for a wrestling dual tonight. The youth scrimmage starts at 5:45, the JV start rolling at 6:00, and the varsity dual will begin at approximately 7:00 p.m.